Fr Chris­topher was born and brought up in Scot­land before spend­ing five years at uni­ver­sity at Trin­ity Col­lege, Cam­bridge. He trained for ordin­a­tion at the Col­lege of the Resur­rec­tion, Mir­field and was ordained to serve in the Par­ish of S. Paul’s, Tot­ten­ham in 2010. 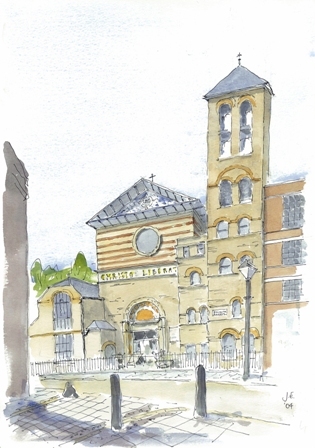 He also served as cur­ate in the par­ish of S. Gabriel’s, Pimlico before being appoin­ted Priest-in-Charge of Holy Redeemer. 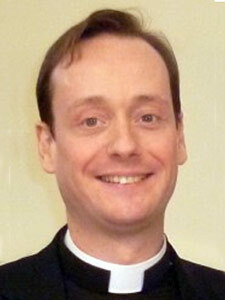 Fr Chris­topher was licensed and installed in Novem­ber, 2013, and became Vicar in July, 2014. 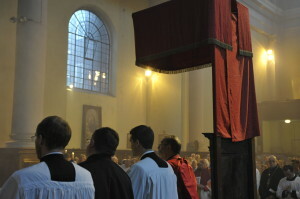 He is also Vicar of S. Mark’s, Clerken­well. Fr Chris­topher is mar­ried to Lucy, a uni­ver­sity lecturer. Fr Aidan was brought up in a clergy house in Worcester­shire, and stud­ied mod­ern lan­guages at Durham and law at Birm­ing­ham. 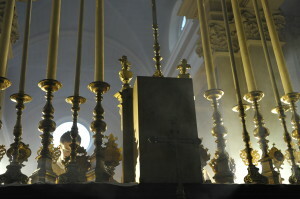 After work­ing in recruit­ment in Lon­don for a time, he trained for ordained min­istry at S. Stephen’s House, Oxford. He was ordained to the diac­on­ate by Bishop Jonathan in June, 2018. 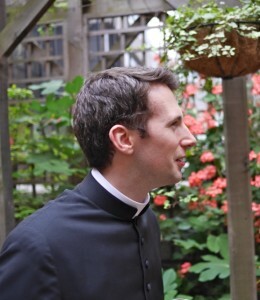 Fr Alex was ordained in 2006 and comes to us hav­ing served in Pimlico and Har­row. He works in the legal pro­fes­sion, and is also Chan­cel­lor of the Dio­cese of Oxford. Fr Peter worked in the City of Lon­don in the rein­sur­ance brok­ing and under­writ­ing busi­ness for 29 years before being ordained in 2006.He served for three years at S. Luke’s, Hack­ney and was a chap­lain at the Homer­ton Hos­pital and helped out at S. Joseph’s hos­pice. He came to Holy Redeemer and S. Mark’s for the first time in 2009, stay­ing for just over three years and then worked in a rural bene­fice of six par­ishes in Oxford­shire for two years in 2012/2014. He returned to Clerken­well in Novem­ber 2014. Fr Peter and Helen have been mar­ried since 1983 and have two sons both in their twenties.